The month of September has been particularly productive one for the work of the Alliance. 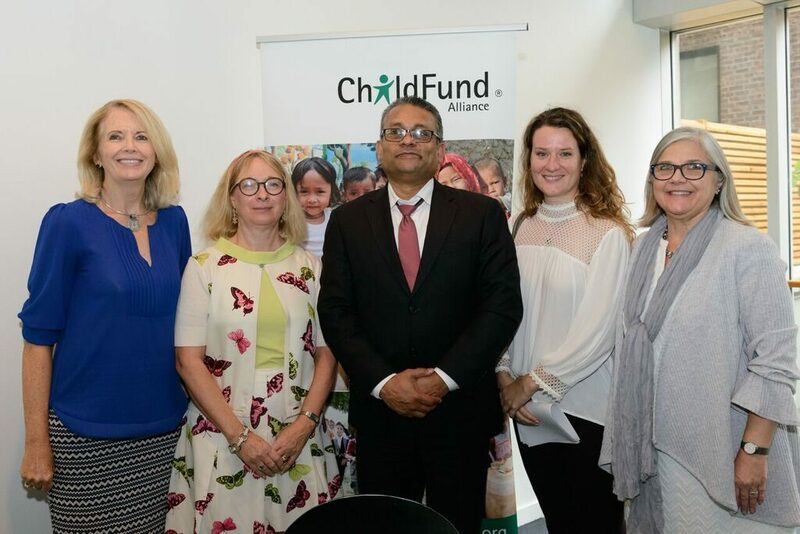 ChildFund convened a luncheon briefing on Child-friendly Accountability during the time of the High-Level segment of the UN General Assembly in New York (18-29 September). CEOs from five of the child-focused agencies – including ChildFund – met with UNICEF Executive Director, Anthony Lake on 18 September to advise him of the major outcomes for our Bellagio Conference – Joining Forces for Children. Follow-up meetings on the same were held in New York at which Patrick Canagasingham, CEO of Christian ChildFund of Canada (CCFC) participated, given his lead role. We were delighted to have Sonia Bozzi, from ChildFund Mexico visit us in New York. Sonia was one of the presenters at our luncheon briefing along with Anne Goddard from ChildFund International. We also had the opportunity to address the UNICEF Executive Board on our key activities and participate in a series of sessions on child rights issues organized by UNICEF and partners. Our thoughts at this time remain with colleagues living in countries impacted by natural disasters and humanitarian emergencies – our work on behalf of children is more urgent than ever.